The importance of the Scrunch or Fold Debate | Do you Scrunch or Fold? The reason why people all over the world are fascinated by the Scunch or Fold Debate is not really because it is rude or to do with poo specifically. When we go to the bathroom, it is very usually a private moment alone and before people hear of the scrunch or fold difference, they naturally assume that whatever method they have been doing all their life is what everyone else does too. To discover that lots of people do something quite different is both shocking and amazing. Folding and scrunching are such the antithesis of each other, that folders really cannot comprehend how or why someone would scrunch. Likewise, scrunchers are equally surprised at the number of people who fold and struggle to understand why they would use, in their opinion, an inferior approach. This is where the debate really gets going as each party tries to argue and reason why their apporach is best and more effective. It really is an argument of people from completely opposing sides. Srcunchers Vs Folders is like other great fights/debates such as CommunismVs Capitalism, Cats Vs Dogs, Trojans Vs Greeks, Rocky Balboa Vs Apollo Creed and Good Vs Evil. 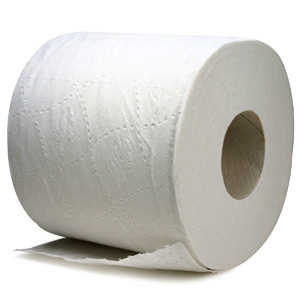 This entry was posted in Fold or Scrunch and tagged argument, bathroom, bog paper, bottom, debate, fold, fold or scrunch, folder, folding, loo roll, scrunch, scrunch or fold, scruncher, scrunching, toilet, toilet paper, wipe, wiping by jakemcmillan. Bookmark the permalink.